74th Golden Globe Awards held on last January 8th and La La Land won 7 awards on that night. I still haven’t got the chance to watch the movie but it’s on my MUST-SEE list so I will definitely watch it. Anyway, award season means red carpet events and that means we get to see a celebrity wearing highly exclusive dresses. 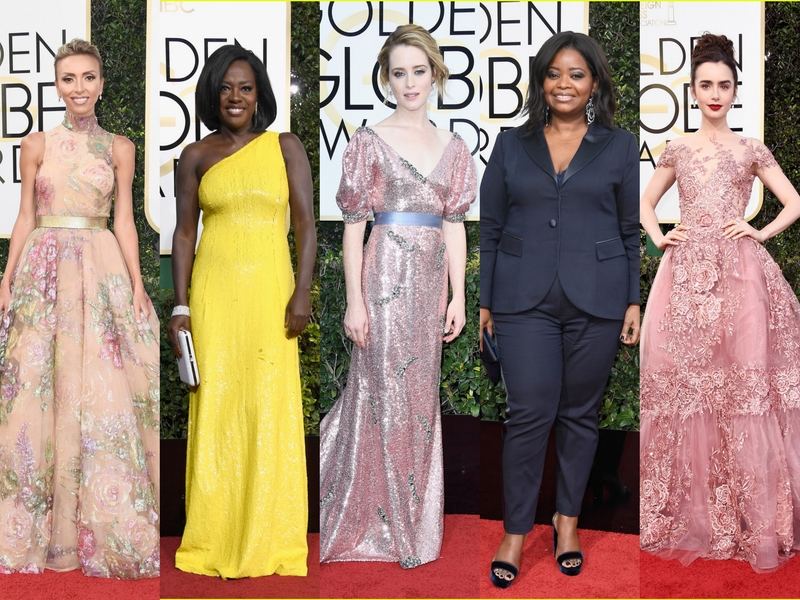 And so here is my pick of the best-dressed celebrities from the Golden Globe 2017. Giuliana Rancic was on the red carpet as the co-host of E!’s Live From the Red Carpet. Giuliana wore a stunning Rani Zakhem gown. I absolutely adore this gown. I think the dress is perfect for the red carpet. Furthermore, Giuliana brings spring vibes with the handpainted flowers on the dress. Moreover, I like how she accessorised the dress with simple metallic golden belt. 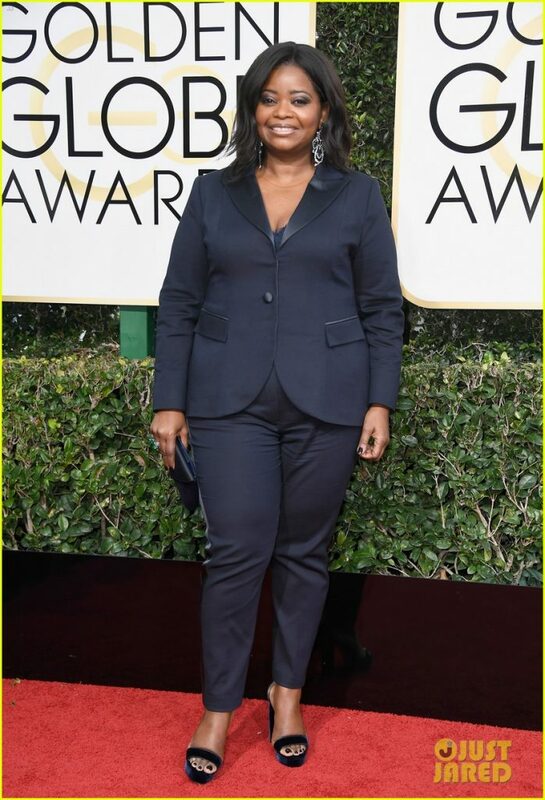 Octavia Spencer wore a navy-colored Laura Basci tuxedo. I love how she wore one colour from head to toe and looks fabulous. I think the collar of the tuxedo is of satin material. Actually, even her shoes and clutch is of navy blue colour. Despite the fact that she did not wear any dresses ( NOT that it is absolutely mandatory to wear dresses on the red carpet, it’s just what I like, you know, beautiful dresses 😀 ), she is still on my favourite list. Because she looks amazing, right? Congratulation to Viola Davis as she won an award for the supporting role in a motion picture. 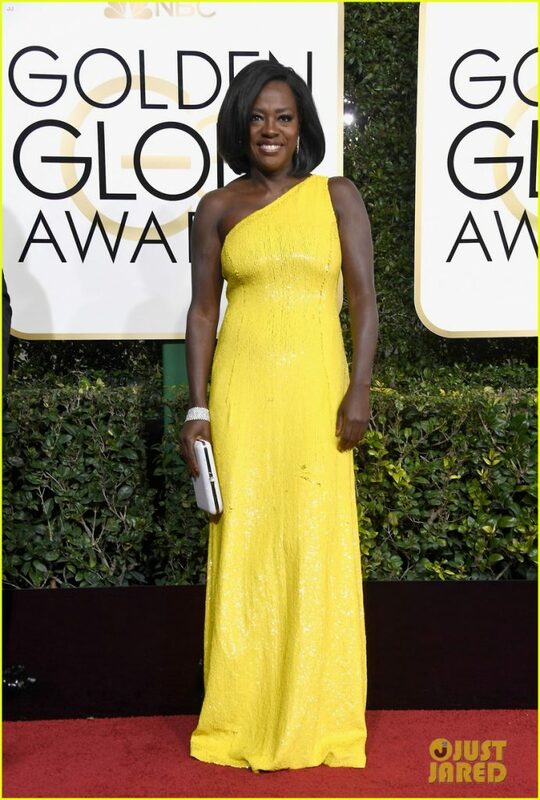 Viola looked elegant in a really bright yellow coloured one-shoulder Michael Kors dress. The colour compliments her complexion very well. 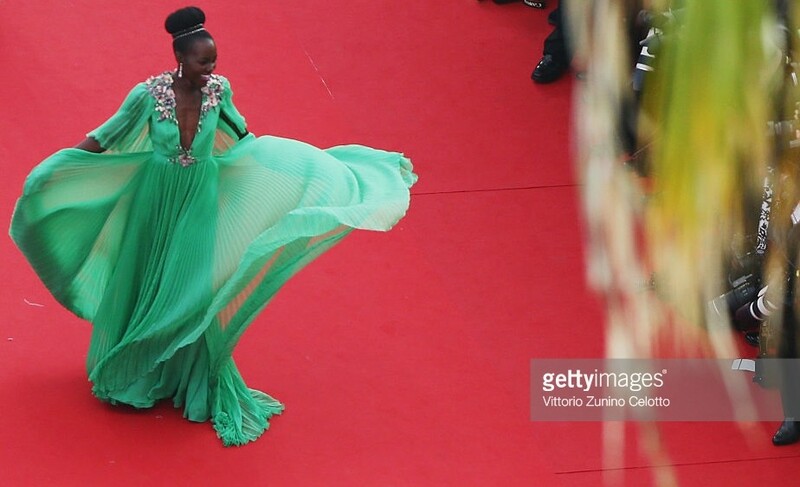 Viola’s dress is very bright comparatively her makeup is very simple. However, she wore her alluring smile ( 🙂 ). Lily Collins looked stunning. The actress stepped out in a very princess-y gown by Zuhair Murad. This rose pink coloured haute couture gown is appliquéd with rose flowers. The gown has really pretty sheer neckline and equally pretty cap sleeves. Furthermore, I absolutely adore how she did her makeup with bold matte red lips and soft delicate rose pink eye makeup. Firstly, a huge congratulation to Claire Foy for winning the award for the best actress in a TV drama. 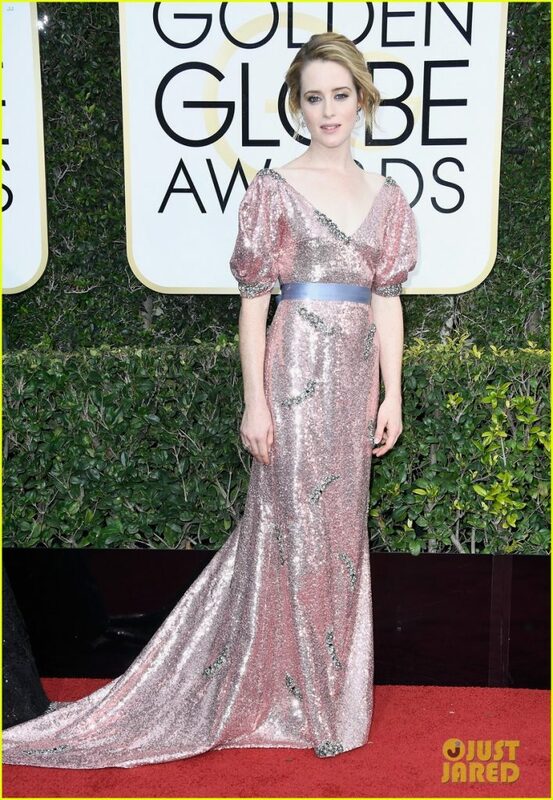 The British actress ethereal in pastel pink sequined dress by Erdem. The dress has a short train, puffed sleeves, silver coloured crystal embroidery and dusty blue ribbon belt on the waist. I love everything about this look. Did you notice her shimmery eye makeup? This is absolutely so dreamy and goes very well with her shimmery dress! At this point, I can’t decide which is the best dress. As a matter of fact, I give all the dress five stars. So what do you think who wore the best dress at Golden globes 2017?